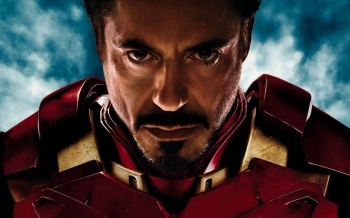 It's official: Iron Man 3 is a hit, to the tune of over $1 billion. After a mere 23 days in theaters, Iron Man 3 has raked in over $1 billion at the box office. This puts it in pretty phenomenal company. Marvel Studios' only other $1 billion-grossing film to date was the massively successful Avengers, and Marvel's parent company Disney can only boast four non-Marvel films in its entire history that have broke the $1 billion mark. The most impressive aspect of all of this is that Iron Man 3 made its worldwide debut two weeks before it was available in the United States. International box office returns are undeniably important, but if a film is to be a major success it also has to prove a hit domestically. Despite having only had two weeks to do so, it's safe to say that Iron Man 3 has done well at home, having pulled in over $300 million domestically so far. What does all of this mean for you? Unless your paychecks are signed by Disney, probably not much. We can expect the current glut of big-budget superhero movies to continue for the foreseeable future, and Robert Downey Jr. is now worth far more than his weight in gold for any studio, but otherwise the success of Iron Man 3 won't have much affect on the common man. However, it does raise an interesting question. With The Avengers and Iron Man 3 -Â Marvel Studios' last two major films - both breaking $1 billion at the box office, what is the ceiling for how well these comic book movies can perform? When Avengers proved a huge hit we expected that to be an anomalous performance, but Iron Man 3 indicates that maybe all of Marvel's films from here on out will be capable of pulling in box office returns larger than many nations' annual GDP. Now the question is: Which hero will be the first to top $5 billion?